Download Google Apps Installer for Xiaomi Redmi 3 - This fileis special for those who want to install Google apps installer on their Xiaomi Redmi 3, as we know some Xiaomi devices doesn't provide Google Play Store when you buy it, but don't worry because we can install it directly on our Xiaomi devices. 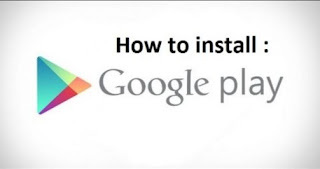 This application made by Eric Xian, how to install Google Apps Installer? it is simple, you just need to install it on your Xiaomi Redmi 3and then download Google Play Store and the other Google Apps you need. Special for installing Google Play Store, you must also install Google Services Framework, Google Account Manager and the Google Play Services to make it smoothly. If already installed, sign in Google Account through the Google Play Store and then wait for the Google Play Store to update to the latest version (currently version 6.0.5) automatically. Once updated to the most recent version, the Google Play Store is ready for use. Enjoy! Belum ada tanggapan untuk "Download Google Apps Installer for Xiaomi Redmi 3"